Get rid of unsightly facial hair in as quick as 15 minutes once a week for a month! There is an easy way to get rid of unwanted facial hair. Facial Hair Increases with age. Home remedy to get rid of facial hair forever! As we age it seems we have less hair where we’d like it and more where we don’t want it. What’s up with that? I stumbled onto a little home remedy that can help get rid of that hair without harsh chemicals, chapped skin from waxing or flat out shaving. Cream Removers can be Harsh. Shaving just doesn't feel right for a woman. Darker haired people have a particularly hard time with hair along the jaw-line, the base of the neck and a mustache area. 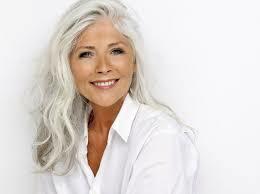 As women age into their 40’s unwanted facial hair is a common joked about problem. But if you are one of the women who have this problem it’s no joke. Younger Women With Dark Hair can Struggle With Facial Hair. Simply take 1T of coconut oil and massage it well into your face until it is completely absorbed. When applying the coconut oil massage upwards against the hair growth. Then take 3T of flour and make a paste out of it with water. Cover your whole face with the paste and let it dry, it should take about 15 minutes. Then once the mask is dry massage it off going in the opposite direction of the hair growth. Once you have completely rubbed off the mask rinse your face and repeat the process every week for the next month. The hair should be completely removed after that time. If a few stragglers come in repeat the process again until all hair has discontinued growing.